As the team behind Brighton’s The Great Escape festival prepare for this week’s First Fifty event in London (a series of exclusive gigs to showcase new music set to join us in Brighton next May), we prepare to say goodbye to one of the festival’s long-standing venues down here in Brighton. Sadly, last month we heard the news that Sticky Mike’s Frog Bar will be closing its doors next month, with their last party on 31st December. Sticky by name and even stickier by nature, the dedicated team behind the venue promise to go out with an almighty bang, with a few farewell parties up their sleeves. 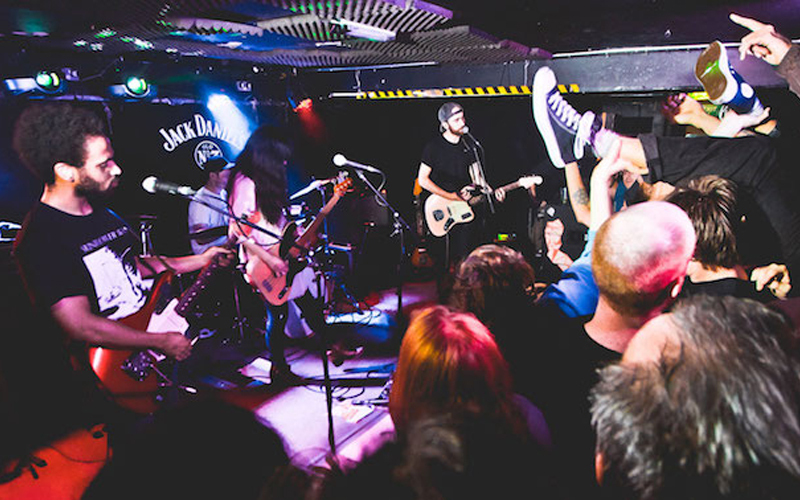 But this sad news got us thinking about the ongoing question that hangs over the future of Brighton’s live music venues, as they struggle to meet increasing rents and complaints from residents. How do we save what plays a huge part in making our city so special? We’ve seen several venues change hands and purpose, but perhaps the most legendary loss to date is The Blind Tiger Club (now Brewdog), a live music venue since 1854 and which closed its doors in May 2014. It didn’t go down without a fight, though, and we were definitely in support of their public petition against the closure, which was signed by over 15,000 people. Sadly, it wasn’t enough, as the Noise Abatement Notice issued following complaints from a resident that lived upstairs saw its closure. And a lot of tears with it. But she admitted that owning a music venue wasn’t a money-making business. “We all do it because we love music, but it isn’t easy and it’s ever-evolving. So you have to be willing to grow and adapt with the changes,” she said, adding that some of the biggest threats to grassroots venues such as theirs came from rising business rates, the drive for property development, noise complaints, licence restrictions and a lack of funding from the local council or government. A further problem came from the lack of recognition such music venues received for their cultural and musical contribution to the local alternative community, while big theatre and arts spaces often received hefty subsidies. Despite serving the alternative communities willingly and at their own financial risk, they are always “just surviving”, lamented Toni. Despite the loss of Sticky Mike’s, we’re lucky that we still have plenty of independent live music options in the city, from Concorde 2 and The Latest Music Bar to Resident to name just a few, but for how much longer? The Great Escape festival, which started in 2006, has always fought the corner of independent venues, and we need to offer our support, too, if we want to ensure the continued survival of our favourites. Next time you’re planning a night out, delve into some new music and support the scene, or if you’re looking for an event space, get in touch with our indies. Here’s to a healthier future for Brighton’s independent music venues!